Preheat oven to 350° F. Spray a 9- by 9-inch square pan with floured baking spray. 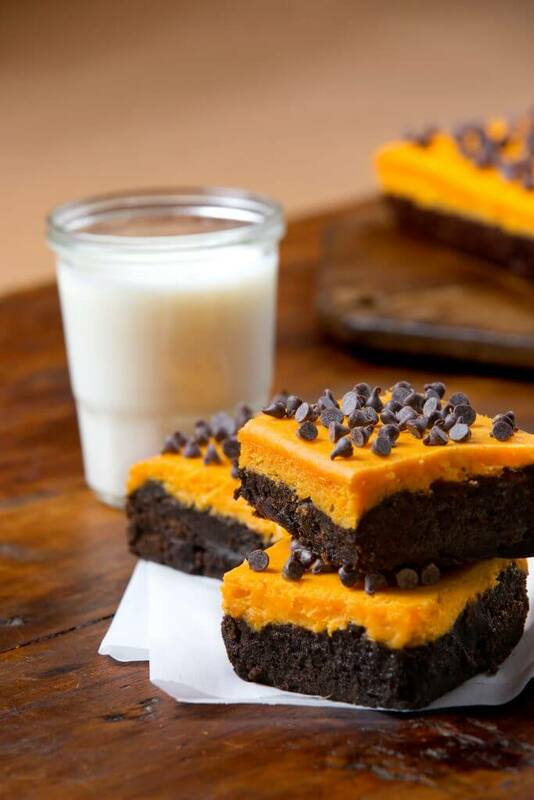 To prepare brownie layer, stir brownie mix, sweet potato, oil, water, and egg in a medium bowl until blended. Spread batter over bottom of prepared pan. To prepare cheesecake layer, beat cream cheese with an electric mixer until smooth. Add mashed sweet potato, sugar, egg, and vanilla; mix until well blended. Spread cheese mixture over brownie batter. Bake for 50 to 60 minutes or until a wooden pick inserted comes out almost clean. Remove from oven and allow to cool 15 minutes. Sprinkle surface with chocolate chips. Allow to cool completely. Remove from spring form pan and serve.